I am very proud to introduce our guest blogger, Eliza, our very bright 16 year old intern. A beautifully researched and written blog post, well done Eliza!! (NB all photos by Austen Flowers, bar the ones credited in the blog). 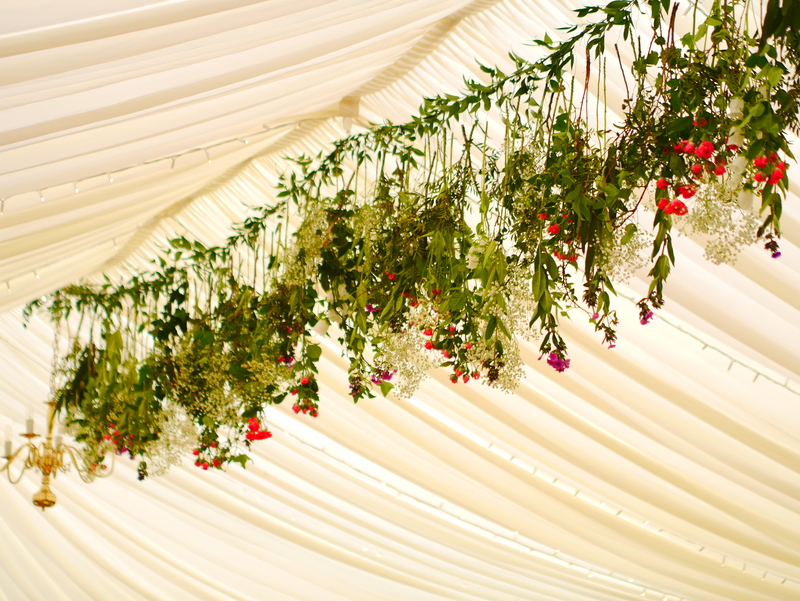 What comes to your mind when you think of hanging flowers? Strange, right? 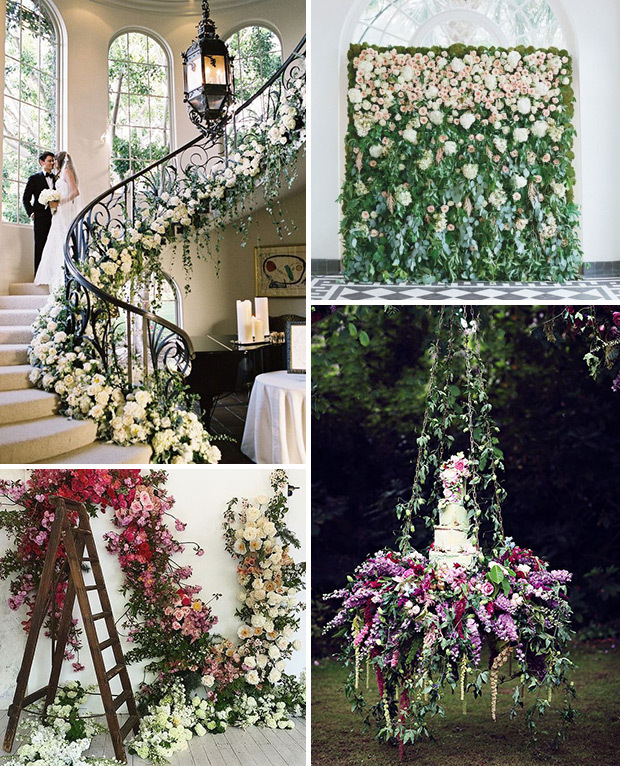 However, this fresh take on wedding flowers can transform your special day into a completely magical moment. The main aspect of hanging arrangements that leaps out at me is that they give somewhat dull objects or even rooms a new perspective. 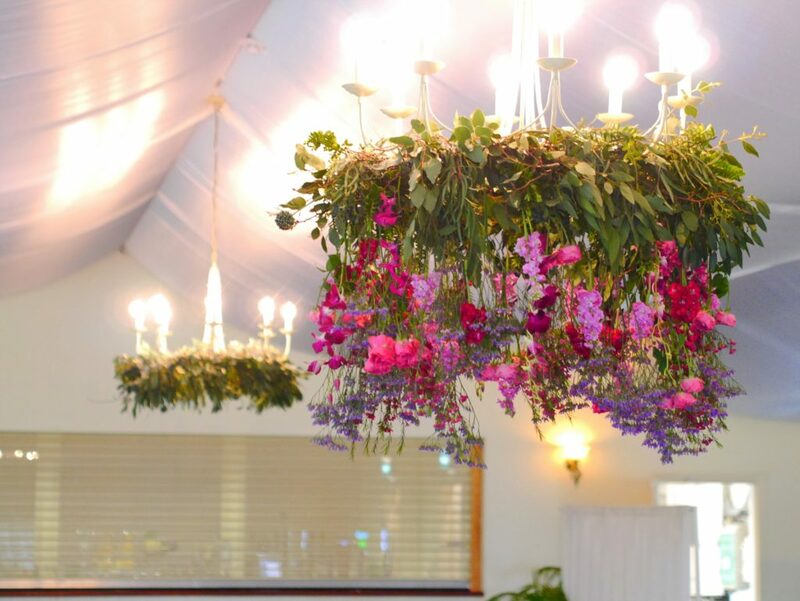 Of course, beautiful bouquets and arrangements will add elegance to a wedding but hanging arrangements can impact the entire room. They are a breath of fresh of fair swooping from each angle creating a sense of being in a fairy-tale. 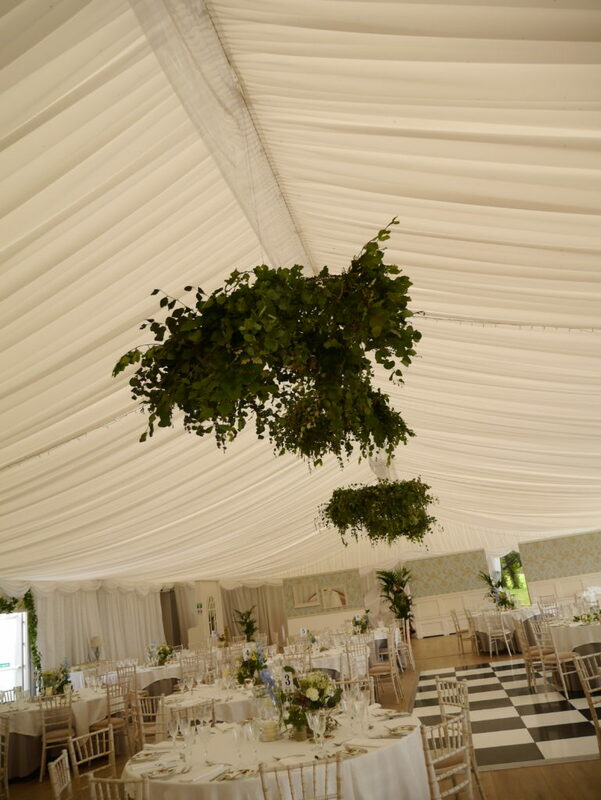 In addition, while a grand array of foliage clinging to the ceiling is striking, it is not essential. Even hints of this romantic design can be captivating wherever they may be placed. As seen below, the foliage gives the guest list an eye-catching flair, completely altering one’s view of the otherwise simple décor. Without doubt, the design is versatile, meaning it can be altercated to your heart desires. 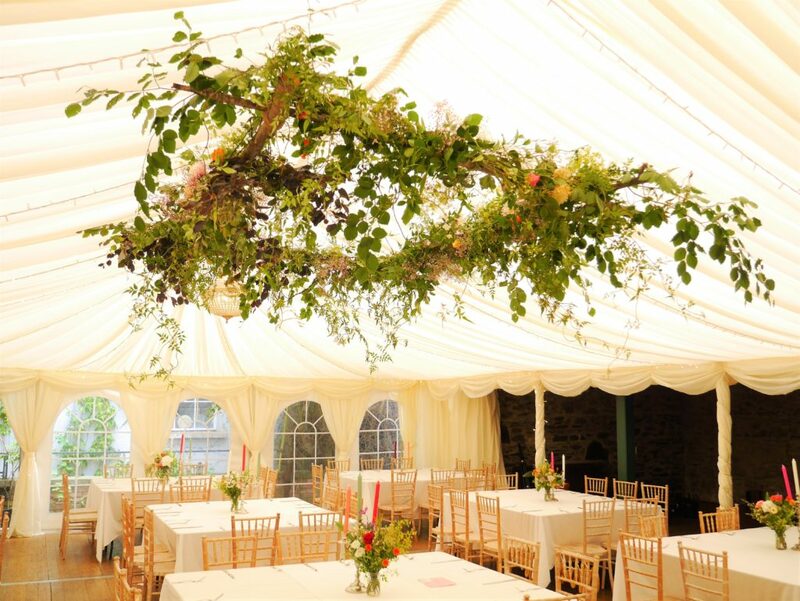 Whether it is a dreamy embellishment on a bridge or even a magnificent hanging centrepiece, the romantic atmosphere is certainly present. Unless edgy is what you’re going for, which is possible! Isn’t there something enthralling about it? I suppose it reminds of the natural beauty seen in an enchanting forest, like the bright bluebells poking through the ferns. There is a flow, and that is why the floral waterfall, as I like to call it, warms your heart. 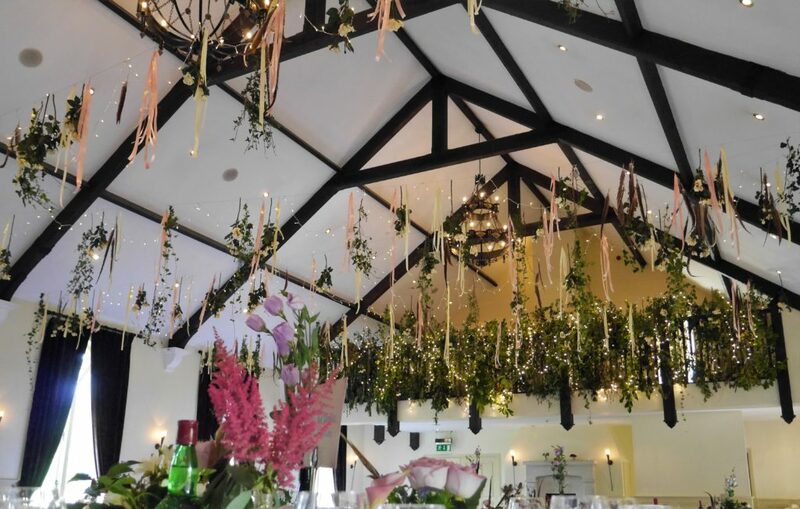 Something about looking up and seeing the hanging flowers brings a smile to your face. I think it links in with the bride also. What with the bride’s beauty and perhaps she is wearing a delicate veil? 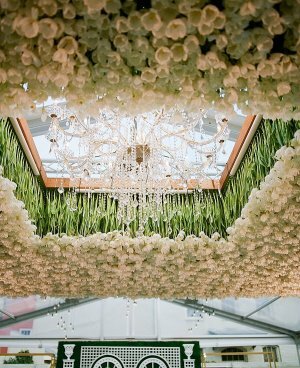 It is a unique form of floral design that adds flair to the wedding. 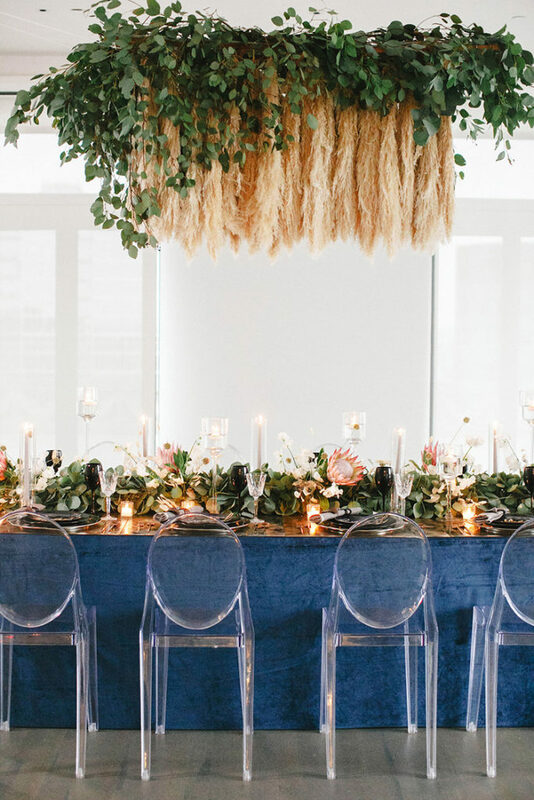 As seen on One Fab Day’s website, the arrangements are very dreamy, hot for 2017! As said previously, ordinary objects are given a new sense of life with magical instalments. 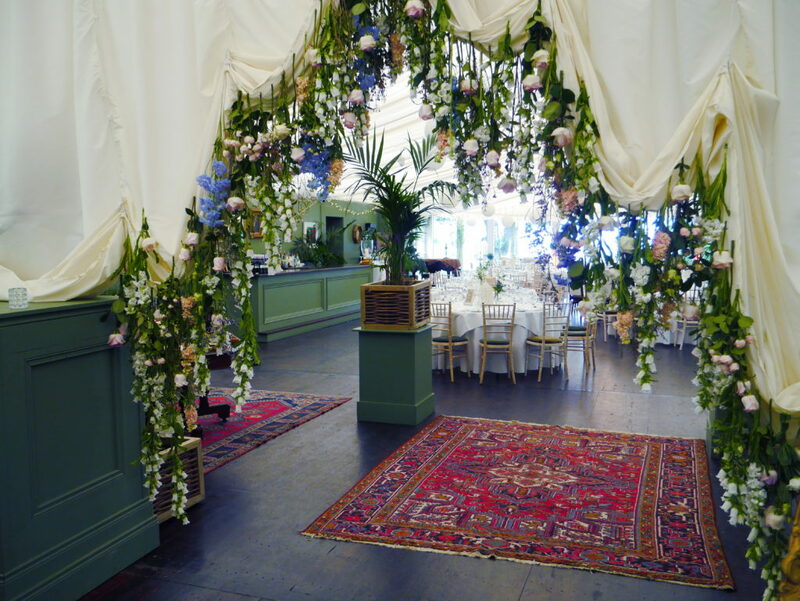 The luscious green foliage instalment seen on Ruffled transforms the room really emphasising that romantic “fairy forest” wedding. 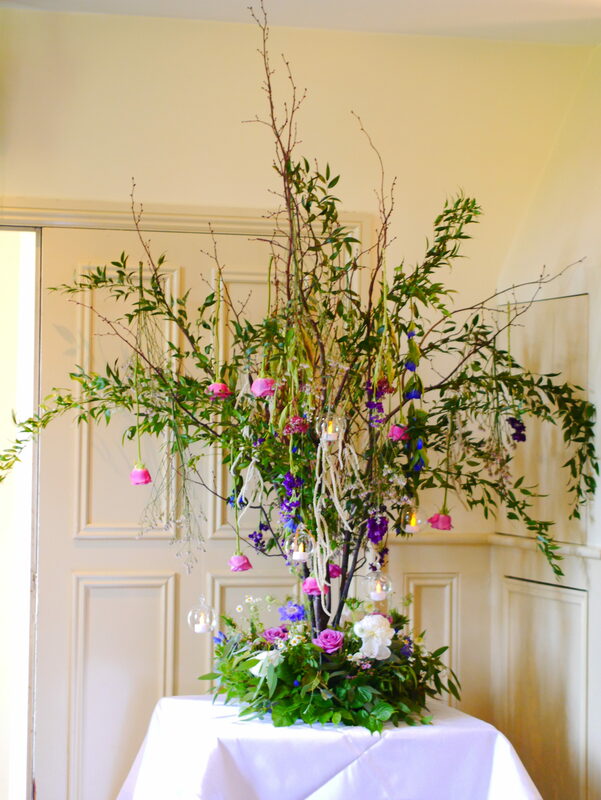 Here’s another example of how you can go large or small with this style of flowers. 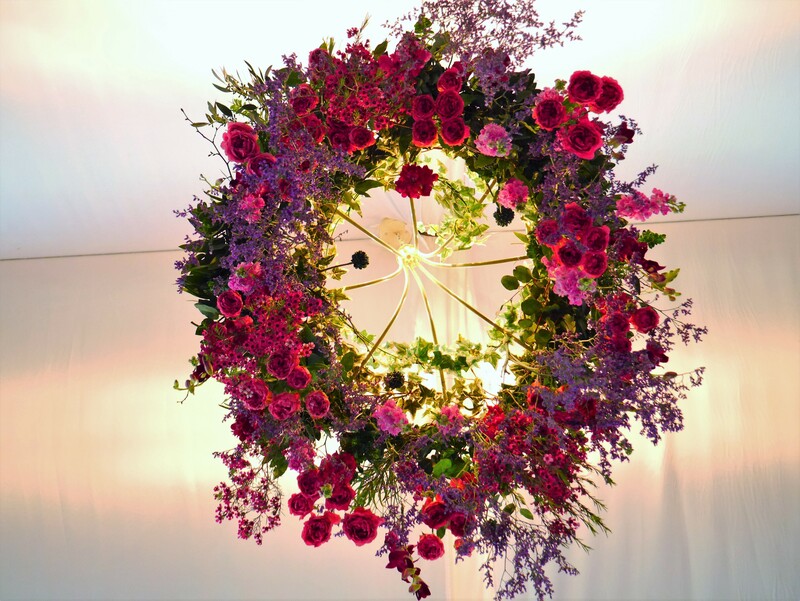 The hanging tulips has a decadence in the room, complementing its minimalistic design. Hope this was helpful and inspiring! 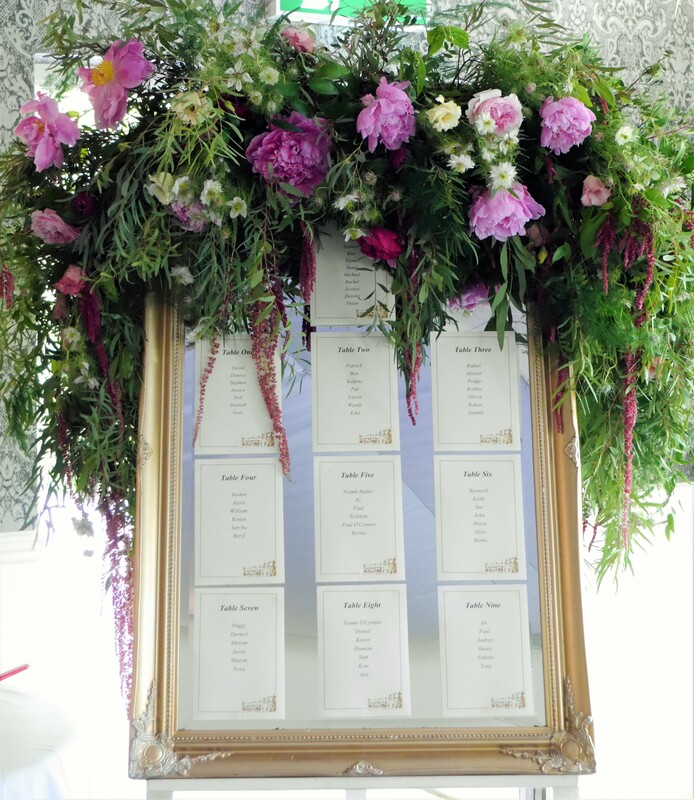 You can make your wedding a dream come true, with the right flowers!